My niece asked me to do a fun decal for her baby girl's nursery. 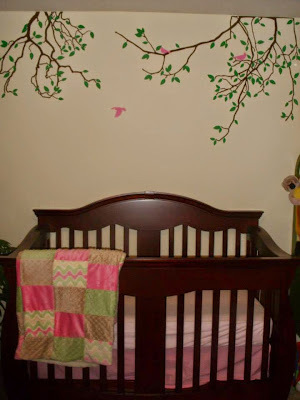 We did over-hanging tree branches with pink birds. It turned out so cute. I would love to help you do something fun for your baby's nursery. I love to do custom items and would love to hear your ideas! If you would like me to help you do a decal just send me an email and we'll get started! 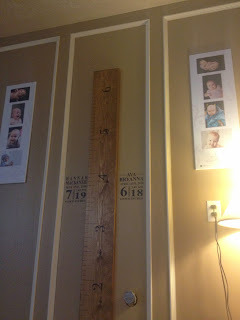 Everybody loves to keep track of how much they have grown! This is a great way to keep track of your child's growth because if you move, you don't have to leave the measurements behind. 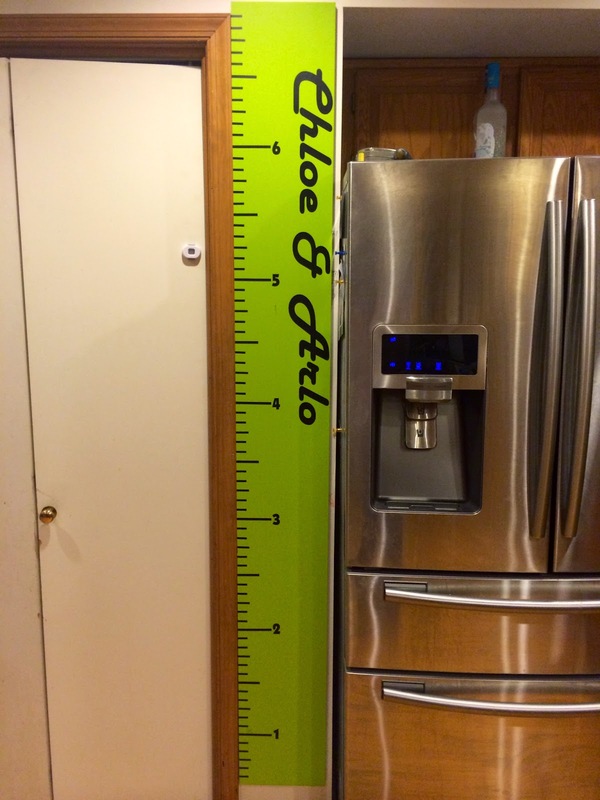 Add a decal to a board and the measurements can move with you. You can paint your board any color you want, or just stain it. The decal comes with lines for every 1" increment with numbers to indicate the feet.